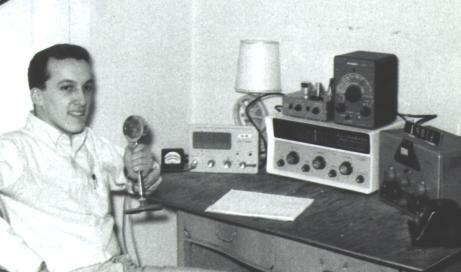 Around late 1961, this was my rig. 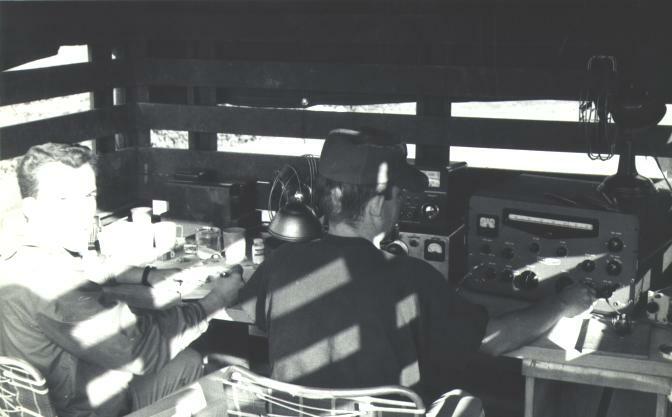 Note the rotator control for the beam antenna. 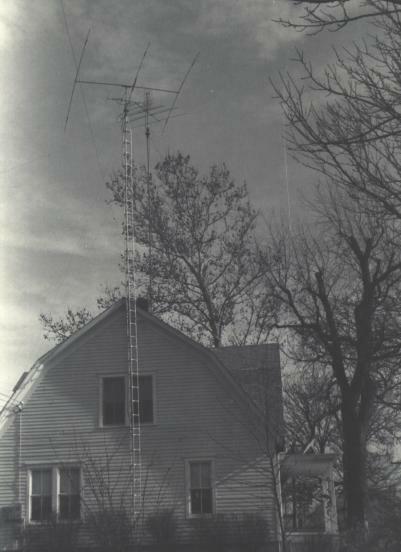 This was my killer antenna, A Mosley TA-33 jr up 55 feet. 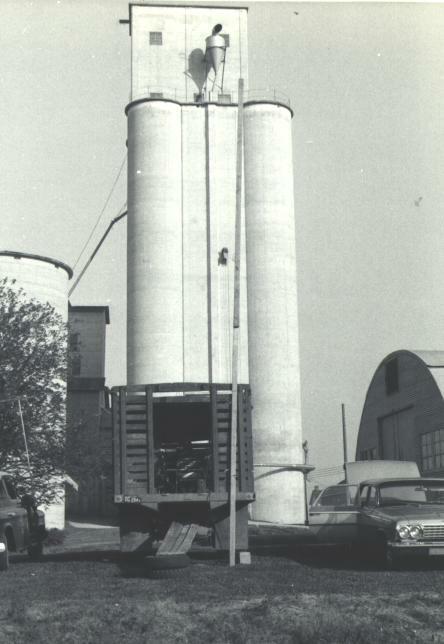 The tower was salvaged sections after a tornado nearby. 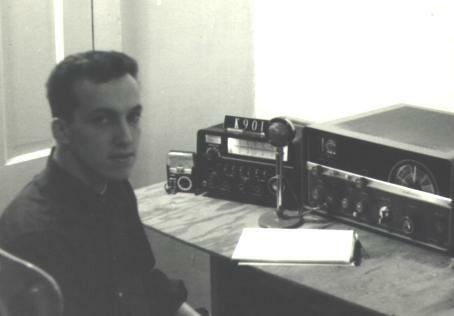 This was my rig at school when I went to the U of I in the Fall of 64.
a 6L6 running about 10 watts crystal controlled on CW. 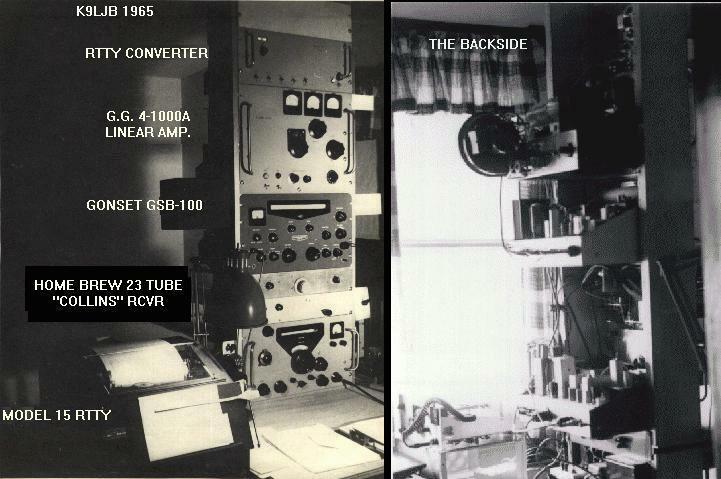 The transmitter was the Heathkit Apache TX-1 running around 200 watts! converters to bring in the various ham bands. Bulky, but very nice. 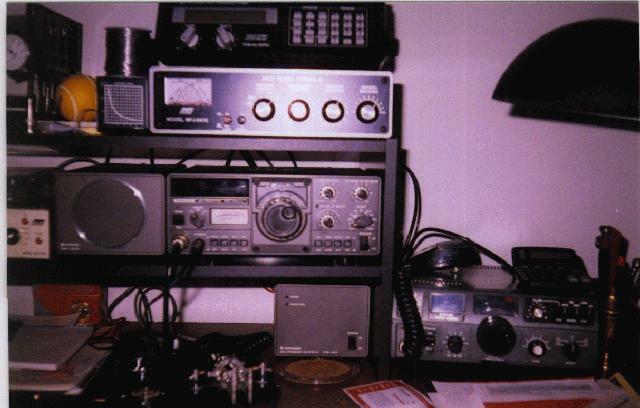 I made the switch to Single Sideband with this rig. 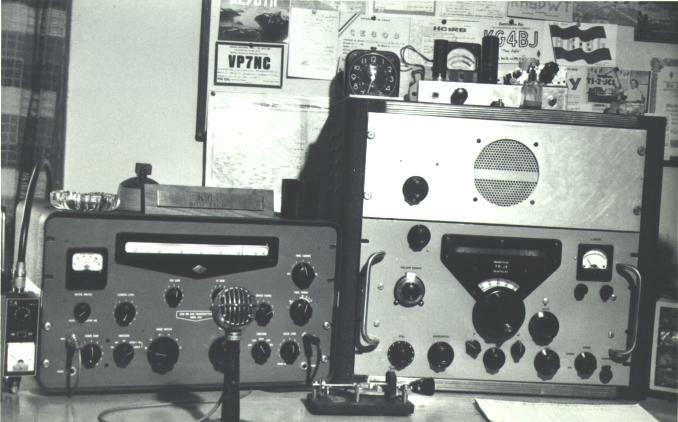 The transmitter is a Gonset GSB-100 on the left. 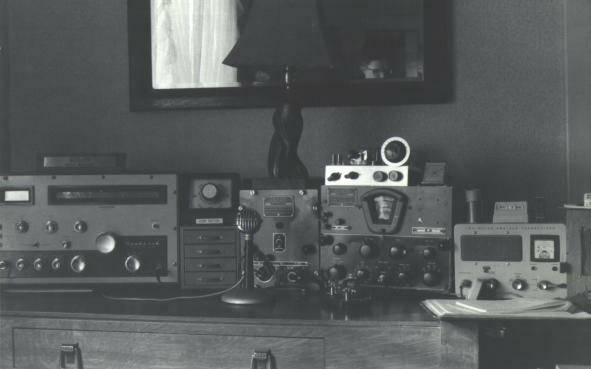 Note the Johnson Speed-X "bug" for sending high speed CW (code). 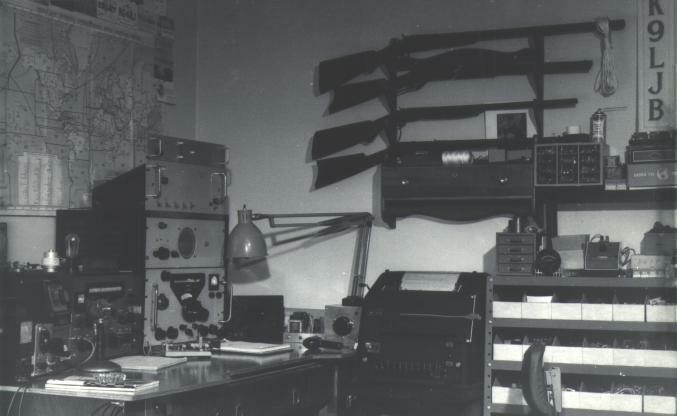 My next addition was a Model 15 Teletype machine and the electronics to hook it to my ham rig. 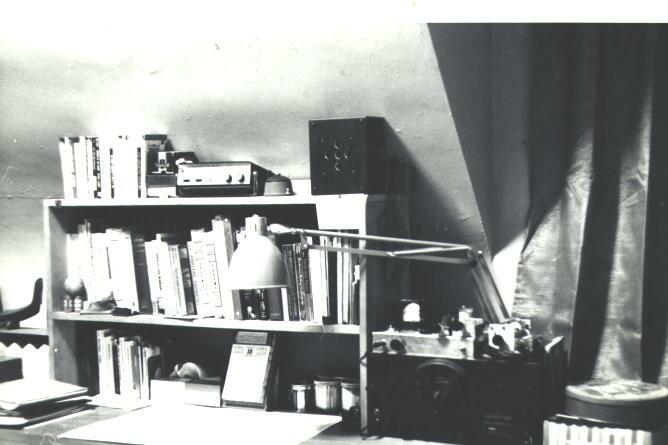 Yes, I was hamming digitally back in the 1960s! Greg Darland K9OIJ on the left and Dennis Drogan, K9OLU on the right. the railing 160 feet up on the elevator. 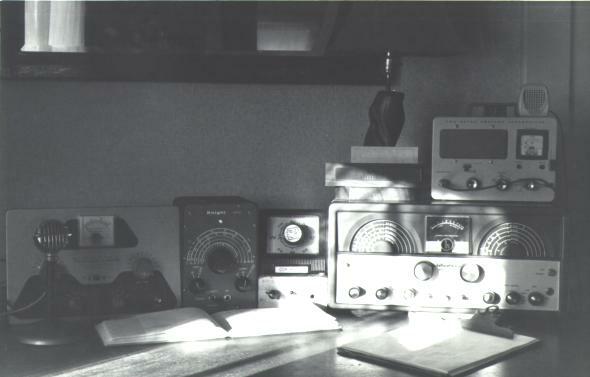 Closer picture of my home brew "Collins" receiver in an early stage. 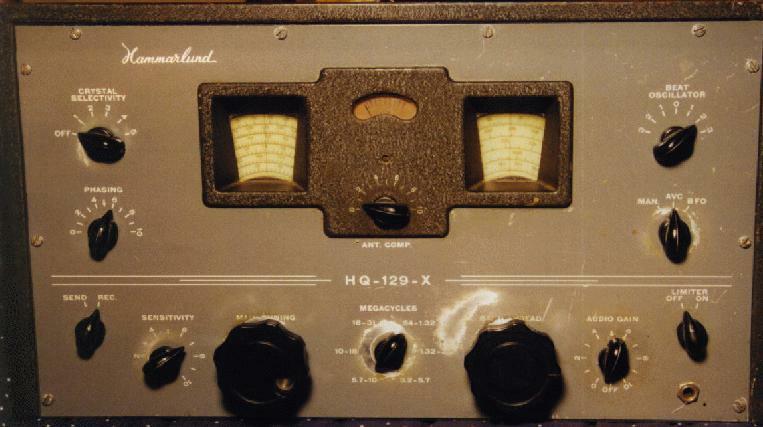 Hammarlund HQ-129X made between 1946 and 1952, unrestored, but fully operational.